A corner development site in Richmond has been purchased by a local buyer for $16.7 million, $4.2 million over the reserve. 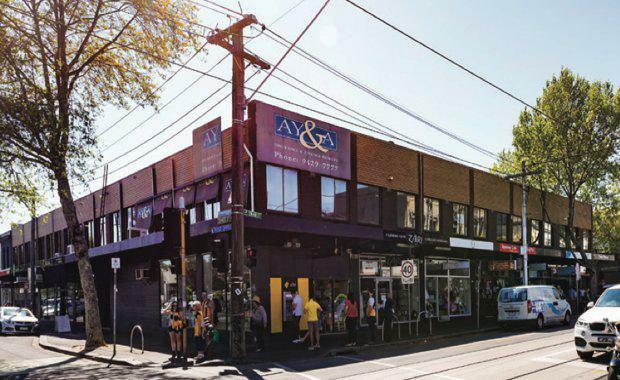 The Australian Financial Review reported that the property at 79-89 Swan Street, Richmond sold for a low yield of 1.5 per cent. The sale was negotiated by CBRE'S Mark Wizel, Josh Rutman and Rorey James and Gross Waddell's Jonathon McCormack and Andrew Waddell. The Commercial 1 zoned 1,540sqm site offers three street frontages and earns a gross annual rent of $490,000. There are currently 10 shops and eight first level office suites on the site. The property was sold with plans and permit approved for five retail shops, two restaurants, 57 apartments and 44 car spaces over five levels.